This brand new specification has an emphasis on problem solving and maths in a real world context. This should make it easier to grasp and visualise ideas while the underlying mathematical skills remain the same. As a result, you will find plenty of problem solving practice within the course. 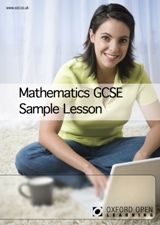 The Maths GCSE course comprises 13 modules. An expanded list can be found in the course introduction below. The following modules need to be studied by all students. The following modules only need to be studied by students aiming for the higher tier. 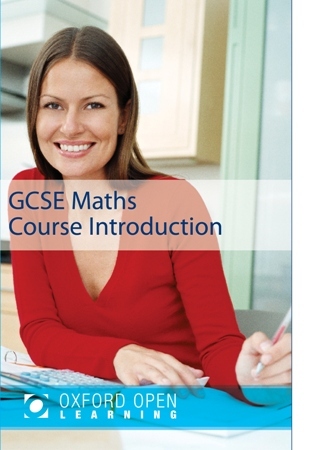 Our Maths GCSE course prepares students for AQA GCSE Mathematics syllabus AQA 8300 for examination in June 2017 onwards. We have chosen this syllabus as the most suited to the needs of distance learning students. The Maths GCSE syllabus has two tiers, Foundation and Higher. The Foundation level allows students to achieve grades between 1 and 5 and the Higher tier allows students to achieve grades 4 and 9. Unlike many, Oxford Open Learning’s Maths GCSE Course is split into these two tiers. Once you have completed the work required to enter for the Foundation tier, you can choose whether to go on and study for the Higher tier and achieve a higher grade, all for the same fee! Irrespective of which tier you enter for, you will sit three exams of 1 hour and 30 minutes. Paper 1 is a non-calculator paper. Papers 2 and 3 allow the use if a calculator. Should I enter for Higher or Foundation Tier GCSE? Whether you enter for the foundation or the higher tier is largely a matter of personal choice and depends on your own aspirations. Many Oxford Open Learning students only need to obtain a Grade 4 or 5, for example, to get onto a further education course. In such a case, you are probably best off sitting the Foundation papers. However, If you wish to go on and study a course which requires the use of maths, you will probably wish to study the higher tier. It is worth noting that the Oxford Open Learning Trust, like most educational institutions, only accept students onto a Maths A level course if the student has completed the GCSE at higher tier. Ultimately the choice is yours, but it is not a choice you need to make at the point of enrolment. Once you have started the course you can discuss this with your Tutor and make up your mind. You will need to have made this decision by the time you make your exam entry, normally about 4 months before your exam. Should I study for the Maths GCSE or the IGCSE? This is mostly a matter of personal choice. Both offer two tiers and both will prepare you for further education. If you are living abroad, then unless you want to return to the UK to sit your exams, you are probably better off sitting the IGCSE. I had to have a Maths GCSE to be accepted on the Teacher Training programme. 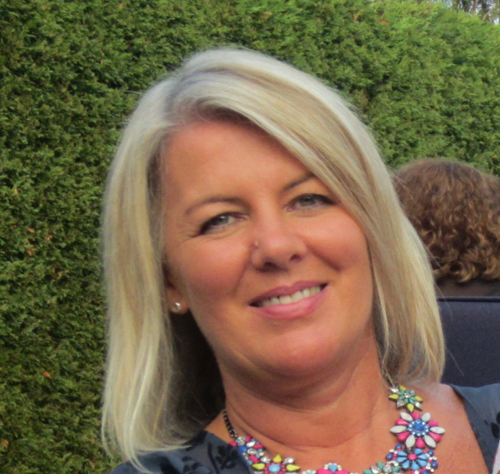 Oxford Open learning enabled me to study at my own pace with access to a high quality tutor who offered me advice and encouragement along the way. The course was very easy to follow and it made the subjects easy to understand, with opportunities for self assessment as I progressed. I gained a lot of confidence through this and proudly gained a grade B. At 52 it is never too late to learn, thank you Oxford Open learning!